This one is for the leagues. 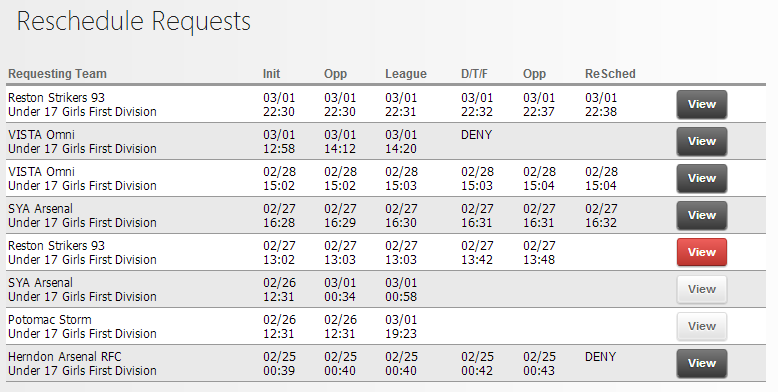 Why shouldn’t league administrator’s life get a bit easier (along with every league team manager and coach). So, the schedule is done and the games begin. Wouldn’t it be nice to just coast through the season? 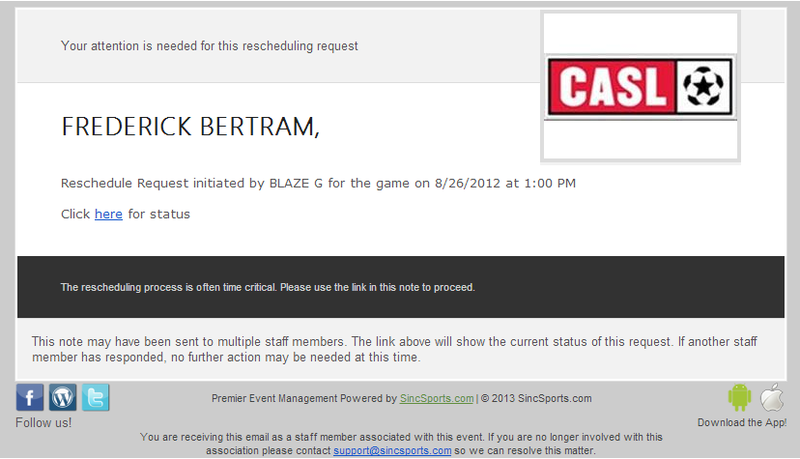 Not a chance; let the rescheduling requests begin! We can’t stop them from happening but we can make it a WHOLE lot easier to manage the process. There are six possible steps in the process. 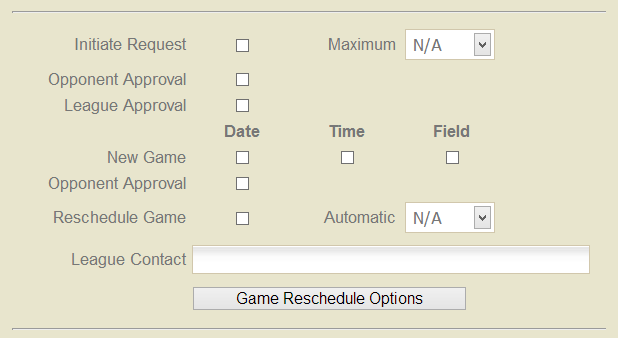 However, you can use the Admin.Advanced Settings.Game Results Control screen to adjust the process to meet your needs. 4. Requestor indicates the new date/time/location of the game (Of course another email is sent to the team telling them the action is needed). 5. Opponent approves/denies request (Of course, another notification is sent to the team). Of course, by adjusting the parameters and skipping steps you can make the process fit your needs!